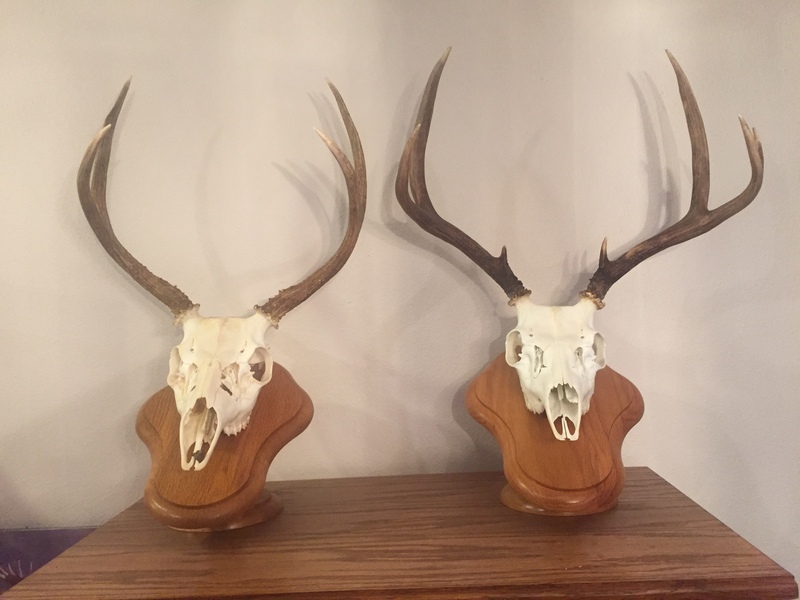 I have done a couple mounts before, but with the press board plagues and Styrofoam covered skull caps. They work but I wanted to try something new. I used Walnut Creek Hardwood for a couple of European pedestals and really like them. 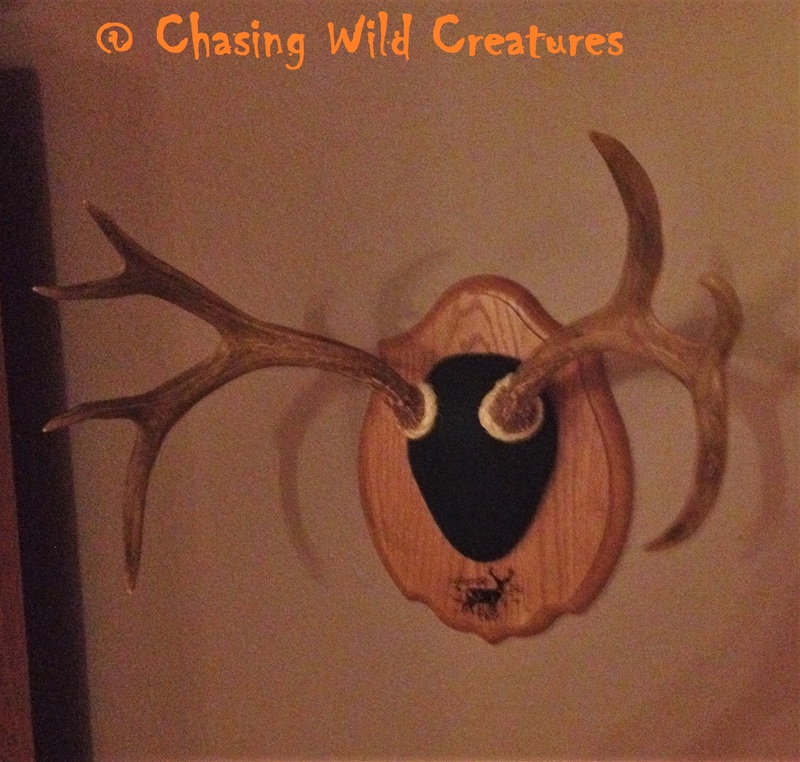 In 2010, I shot a buck and could not make a European mount out of it, that’s another story in itself. So I went on Walnut Creek Hardwood’s website and started looking at what they had to offer. 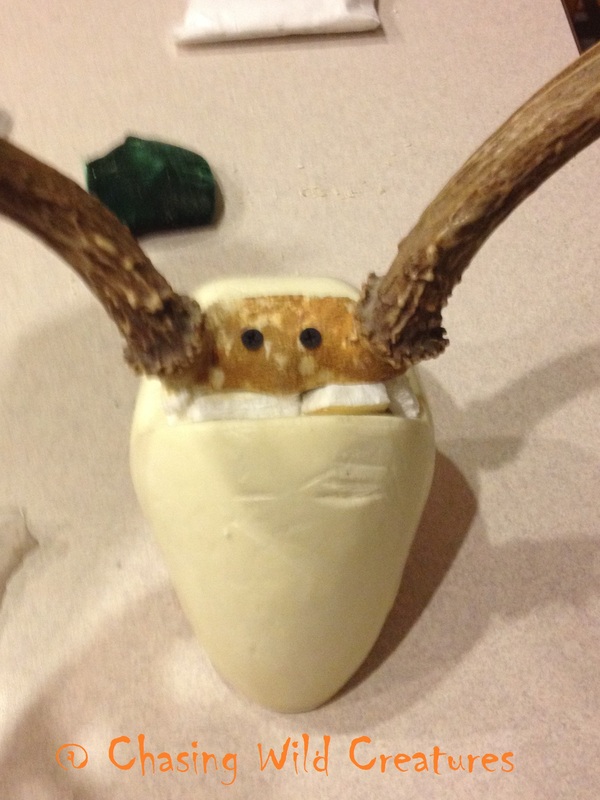 I found various kits to do any type of antlers or horns. 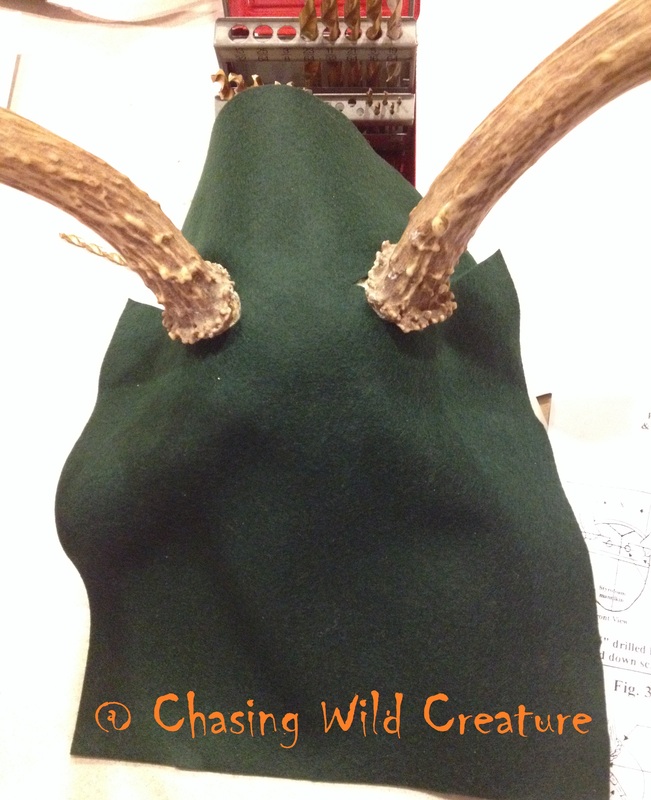 First thing you need to do is have a set of antlers, which I’m hoping you all have a few that you want to display (big or small). Make sure after you pick your antlers out, to clean all hair and tissue off them. 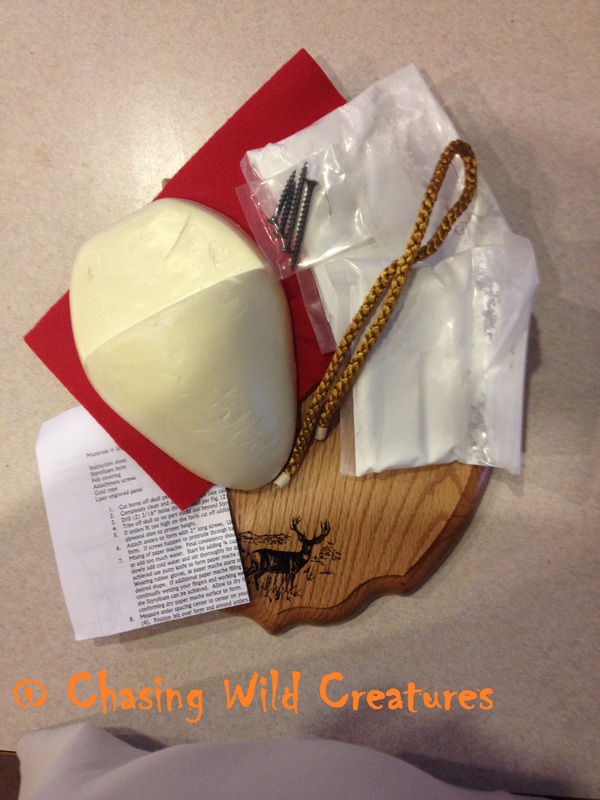 Before you cut the antlers, play with the antler and notched foam cap, visualize how you want to have the antlers on the plaque. Some like to have the antlers rotated down, some up. Cut the skull cap per the instruction and your preference. The use of shims may be required. 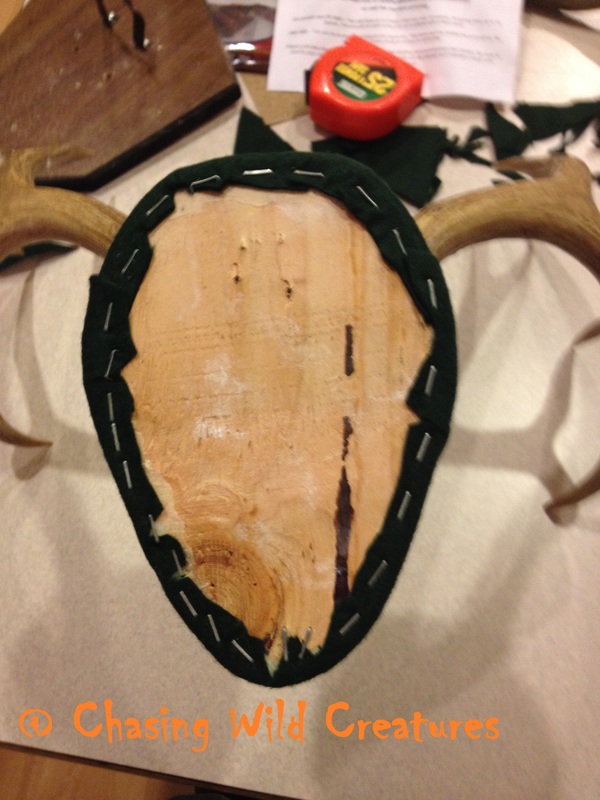 Drill holes per the instructions and attach antlers with screws provided. Now the fun part, what little boy in us didn’t play in the mud. It’s mud time; I mean time to use the Paper Mache. Before I got started with the mud, I filled the voids with some foam (in the skull and the void at the bottom). You get two packages of mud, use one at a time. Please at this point make sure you mix the mud that it is not to clumpy or soupy. I found a tad thick worked great to fill voids and to get the main structure of the skull cap. I waited about an hour and with wet fingers smoothed out the mud. 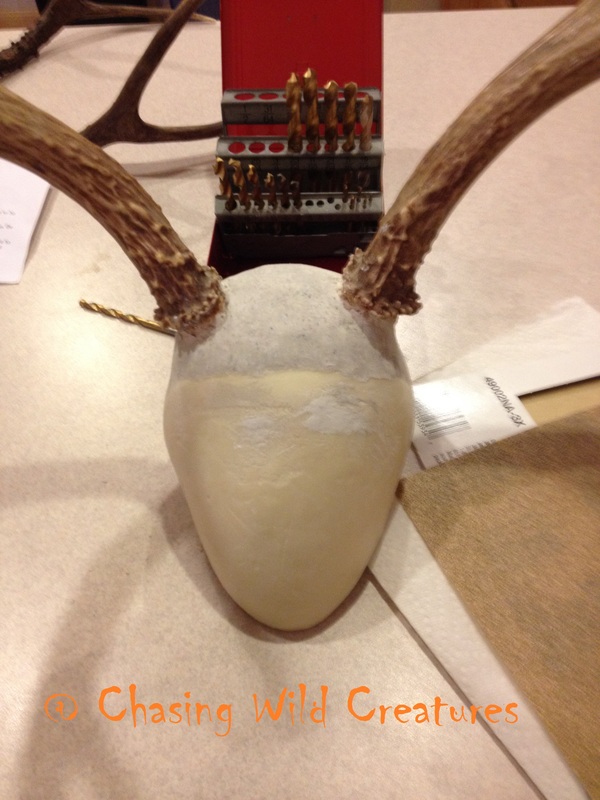 Make sure that you leave some space between the cap and the base of the antlers. This will make it easier to add the rope when it is time. I mixed up a tad more from the other package of the mud to blend in with the foam cap. I let dry for a full 24 hours before I smooth it out by sanding it with 100 grit paper. Refer to the instructions on how to cut the felt. Make sure to measure the best you can between the antlers. I cut slits to that measurement, and then put it on the skull cap, made sure that it fit. 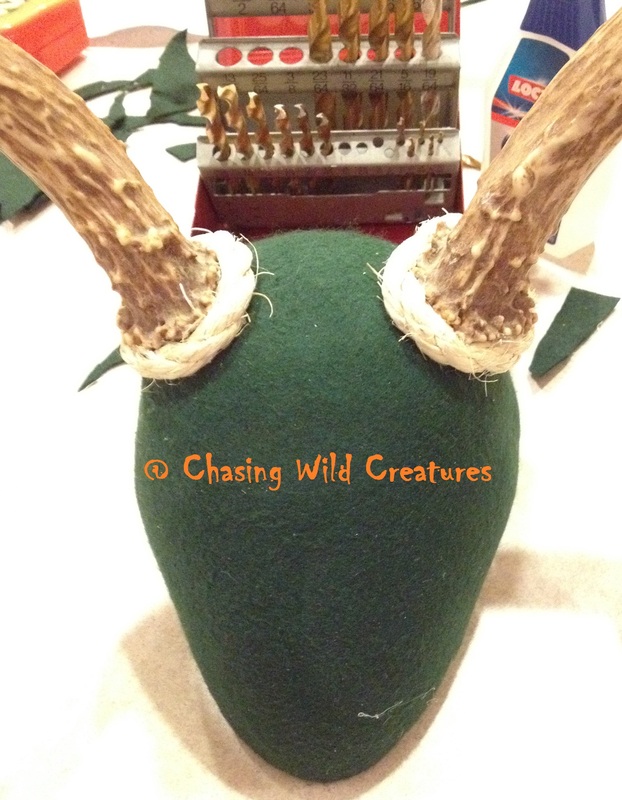 While felt was on I cut the circle out as close to the antlers as possible. (Try not to make too big of gaps, but if you do make sure that the rope will cover them up.) Then I follow the rest of the instructions, when you get to the point where the felt over lapse I used a glue gun to seal that up. Take your time here and make sure you get all the wrinkles out. You will have to cut notches to make it fit right and these will be on the back of the foam cap. Trimming as you go will be required. 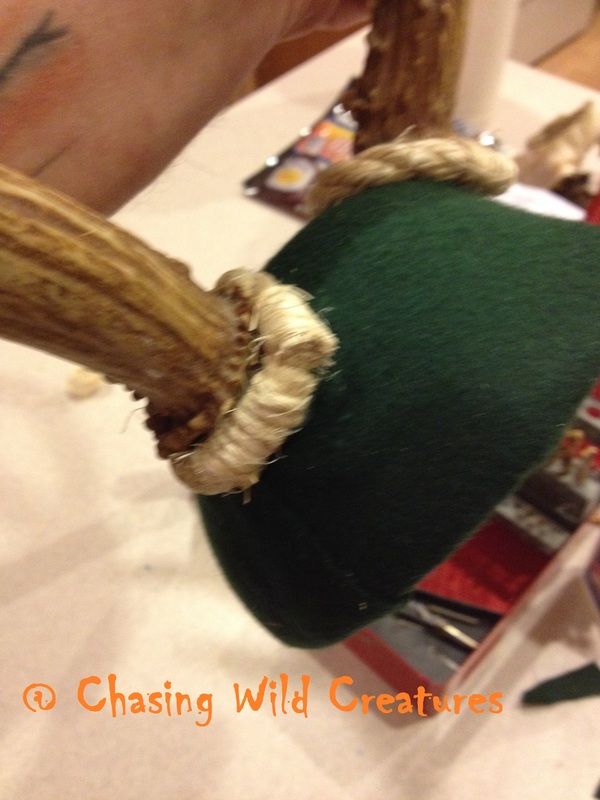 Time to add the rope around the bases of the antlers. I used a glue gun to attach the rope, going in small lengths and holding till the glue set up. I got the rope from Walmart but believe you can get it at any hardware store. I would wrap it around the base of the antler and cut it. At this point I would cut a chunk off and unravel it. This was use to wrap the both ends that would cover the bases. Repeat for the other side, make sure to wrap the one side opposite from the other side. At this point you are ready to attach the skull cap to the plague. Here you will have to center it up the best you can and how you would like it. Once you got it all figure out, use the screws provided to secure the skull cap.